For those in the market for a new BMW are aware, there are a lot of different models available. They vary in price from $30,000 to well over $100,000. They also use a numbering system that sometimes appears to contradict itself. All of this can be confusing for someone looking to purchase one of the new Bavarian vehicles, so we are going to give you a quick breakdown of the different models, power options, and starting prices, to make it easier to being your shopping search. This particular guide is for the coupes and sedans for the 2014 model year. 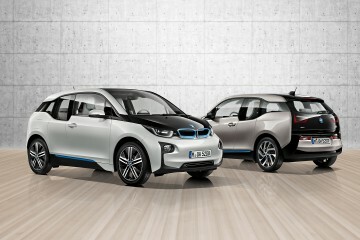 Clicking on each model will direct you to BMW’s Build and Price page to configure a model for yourself. Expect a sports car and SUV guide in the near future. 2 Series – The BMW 2 Series is the smallest BMW that they currently sell in the United States. It is only available as a two-door coupe. 228i – Starting at $32,100 and 240hp from a turbocharged 2.0L 4-cylinder. 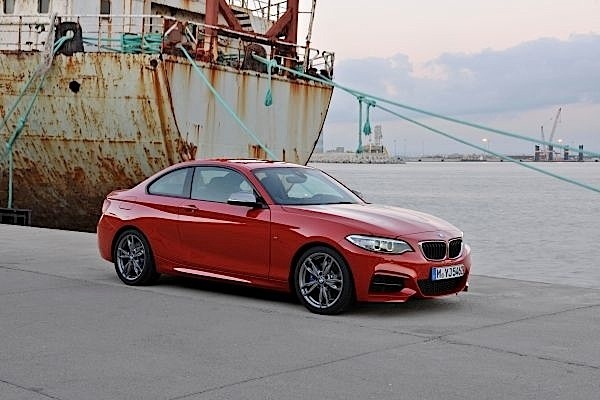 3 Series Sedan – The 3 Series is BMW’s volume seller, and has been praised for its excellent driving dynamics. 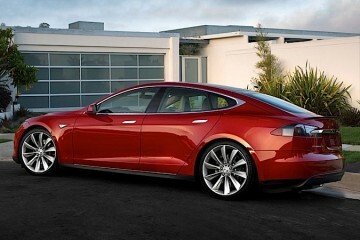 It features a tradition 4 door sedan configuration with a trunk. 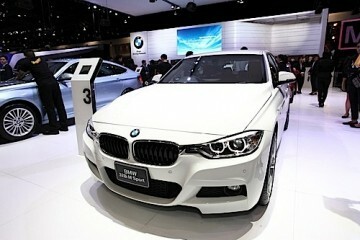 320i – Starting at $32,750 and makes 180hp. 320i xDrive – Starting at $34,750 and makes 180hp with all wheel drive. 328i – Starting at $37,300 and makes 240hp. 328i xDrive – Starting at $39,300 and makes 240hp with all wheel drive. 328d – Starting at $38,600 and makes 180hp from a diesel engine. 328d xDrive – Starting at $40,600 and makes 180hp from a diesel with all wheel drive. 335i – Starting at $43,400 and makes 300hp. 335i xDrive – Starting at $45,400 and makes 300hp with all wheel drive. 3 Series Sports Wagon – The Sports Wagon 3 Series offers a tradition 5 door setup and a wagon configuration for extra storage space. 328i xDrive – Starting at $41,450 and makes 241hp with all wheel drive. 328d xDrive – Starting at $42,950 and makes 180hp from a diesel engine with all wheel drive. 3 Series Gran Turismo – The Gran Turismo 3 Series is a 5 door hatch that is designed to look like the sedan and not a wagon. 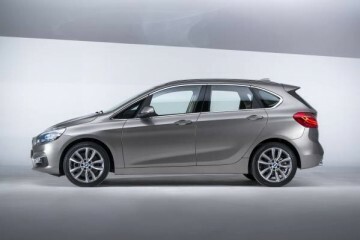 Storage space will be less than the full wagon 3 Series. 328i xDrive – Starting at $41,450 and makes 240hp with all wheel drive. 335i xDrive – Starting at $46,850 and makes 300hp with all wheel drive. ActiveHybrid 3 – A hybrid version of the 3 Series starting at $49,900 and makes 335hp. 4 Series Coupe – The 4 Series is, in most cases, a two door coupe and convertible version of the 3 Series. The 4 Series is tuned a little more aggressively to feel sportier than the 3 Series. 428i – Starting at $40,500 and makes 240hp. 428i xDrive – Starting at $42,500 and makes 240hp with all wheel drive. 435i – Starting at $46,000 and makes 300hp. 435i xDrive – Starting at $48,000 and makes 300hp. 4 Series Convertible – The 4 Series Convertible features a folding metal roof for the convertible top. 428i – Starting at $48,750 and makes 240hp. 435i – Starting at $54,900 and makes 300hp. 5 Series Sedan – The 5 Series Sedan is BMW’s volume seller for a midsized sedan. Available in as many configurations as the 3 Series, the 5 Series features even more cutting edge technology. 528i – Starting at $49,500 and makes 240hp. 528i xDrive – Starting at $51,800 and makes 240hp. 535i – Starting at $55,100 and makes 300hp. 535i xDrive – Starting at $57,400 and makes 300hp with all wheel drive. 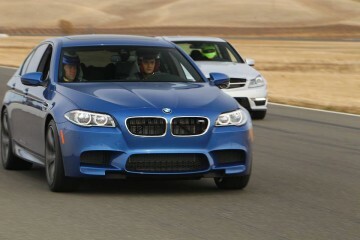 535d – Starting at $56,600 and makes 255hp from a diesel engine. 535d xDrive – Starting at $58,900 and makes 255hp from a diesel engine with all wheel drive. 550i – Starting at $63,900 and makes 445hp. 550i xDrive – Starting at $66,200 and makes 445hp with all wheel drive. 5 Series Gran Turismo – Similar to the 3 Series Gran Turismo, the 5 Series GT offers a rear hatchback for increased storage over the sedan. 535i – Starting at $60,200 and makes 300hp. 535i xDrive – Starting at $62,500 and makes 300hp with all wheel drive. 550i – Starting at $68,100 and makes 445hp. 550i xDrive – Starting at $70,400 and makes 445hp with all wheel drive. ActiveHybrid 5 – Built with the same powerplant as the ActiveHybrid 3, the ActiveHybrid 5 is BMW’s 5 Series hybrid vehicle starting at $61,400 and makes 335hp. 6 Series Coupe – The 6 Series is BMW’s mostly 2-door version of the 5 Series. Like the 4 Series, the 6 Series is designed to be sportier than its sedan counterpart. 640i – Starting at $75,400 and makes 315hp. 640i xDrive – Starting at $78,400 and makes 315hp with all wheel drive. 650i – Starting at $86,700 and makes 445hp. 650i xDrive – Starting at $89,700 and makes 445hp with all wheel drive. 6 Series Gran Coupe – The 6 Series Gran Coupe is a 4-door version of the 6 Series coupe. It shares the body lines of the 6 Series, separating it from the traditional 5 Series sedan. 640i – Starting at $77,600 and makes 315hp. 640i xDrive – Starting at $80,600 and makes 315hp with all wheel drive. 650i – Starting at $88,900 and makes 445hp. 650i xDrive – Starting at $91,900 and makes 445hp with all wheel drive. 6 Series Convertible – The 6 Series Convertible features a fabric folding roof instead of metal design. 640i – Starting at $82,900 and makes 315hp. 640i xDrive – Starting at $85,900 and makes 315hp with all wheel drive. 650i – Starting at $94,200 and makes 445hp. 6501 xDrive – Starting at $97,200 and makes 445hp with all wheel drive. 7 Series Sedan – The 7 Series is BMW’s flagship sedan, and is available with the most technology and safety features. It is available in a normal version as well as a long wheelbase for extra rear seat room. 740i – Starting at $74,000 and makes 315hp. 740Li – Starting at $78,000 and makes 315hp with a long wheelbase. 740Li xDrive – Starting at $81,000 and makes 315hp with a long wheelbase and all wheel drive. 750i – Starting at $87,300 and makes 445hp. 750i xDrive – Starting at $90,300 and makes 445 hp with all wheel drive. 750Li – Starting at $91,000 and makes 445hp with a long wheelbase. 750Li xDrive – Starting at $94,000 and makes 445 with a long wheelbase and all wheel drive. 760Li – Starting at $141,200 and makes 535hp. 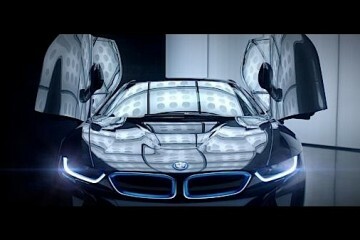 ActiveHybrid 7 – BMW’s hybrid version of the 7 Series starting at $84,300 and makes 350hp. We hope this guide makes it a bit easier to help decide which models of BMW cars to look at. 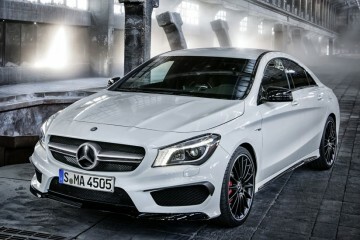 We expect to have a sports car and M car version, along with a SUV version, in the coming days. Be sure to look out for that as well! 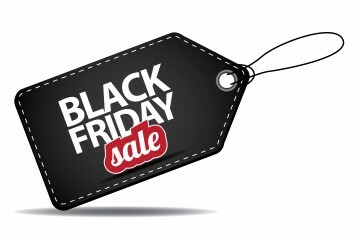 Pricing and options are as current as the date of this post, and cover the 2014 model year vehicles.